1. 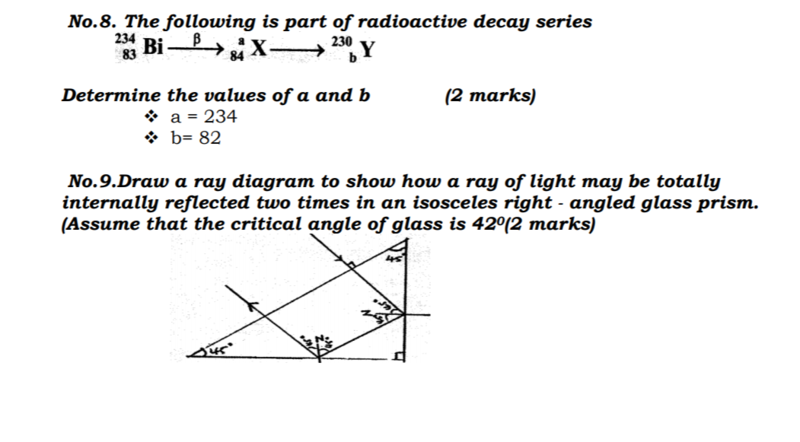 Figure 1 shows a ray of light incident on a mirror, at an angle of 45°. Another mirror is placed at an angle of 45° to the first ones as shown. 3. 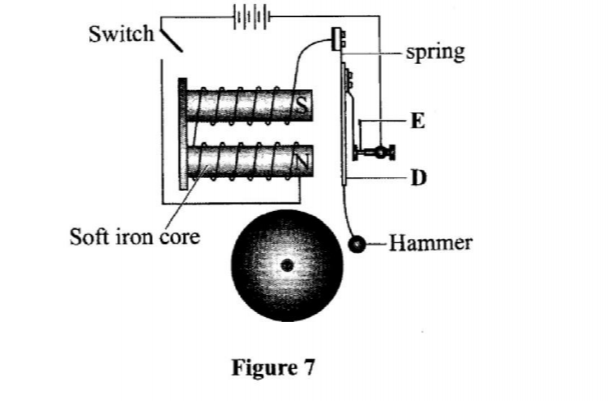 Figure 2 shows a solenoid carrying an electric current. 4. 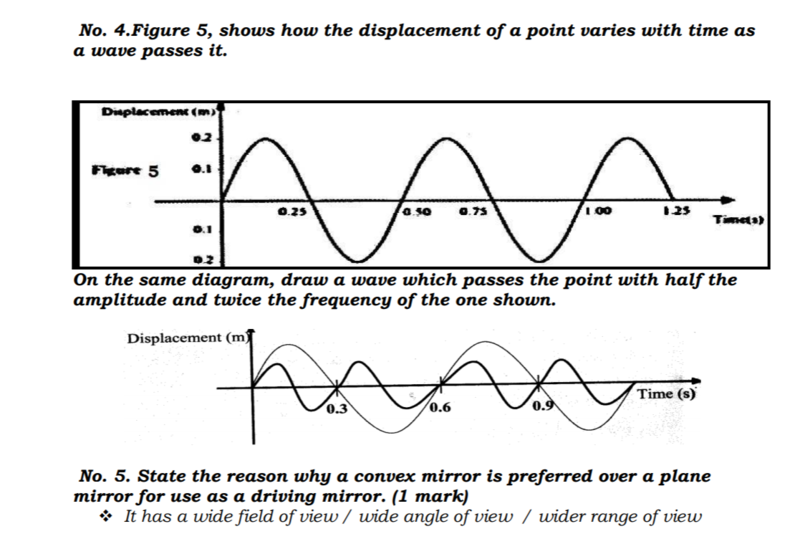 Figure 3 shows how the displacement of a point varies with time as a wave passes it. 6. 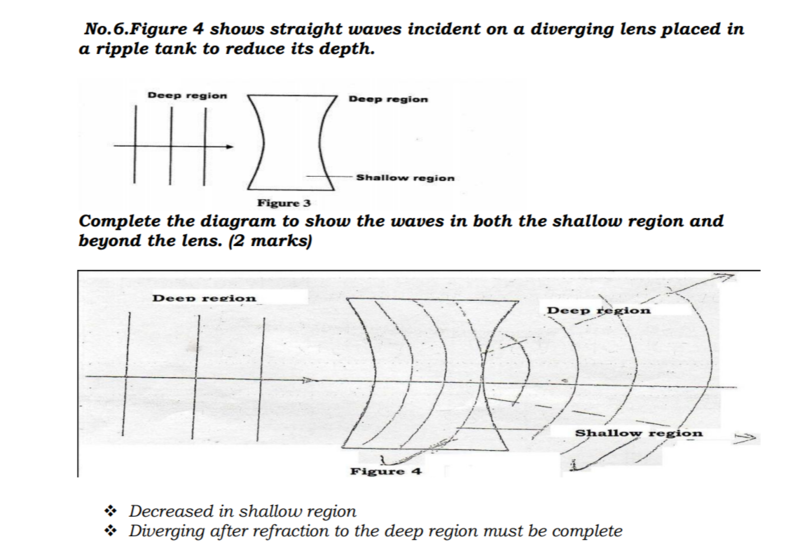 Figure 4 shows straight waves incident on a diverging lens placed in a ripple tank to reduce its depth. 7. 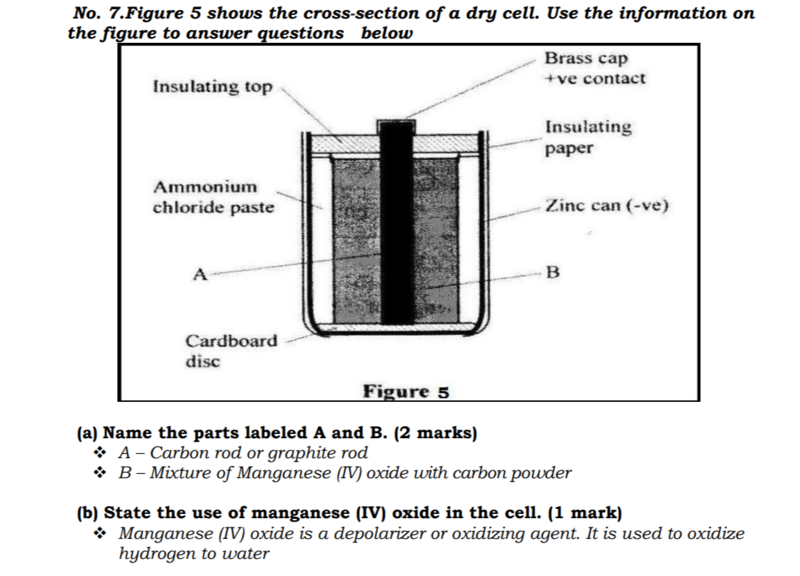 Figure 5 shows the cross-section of a dry cell. 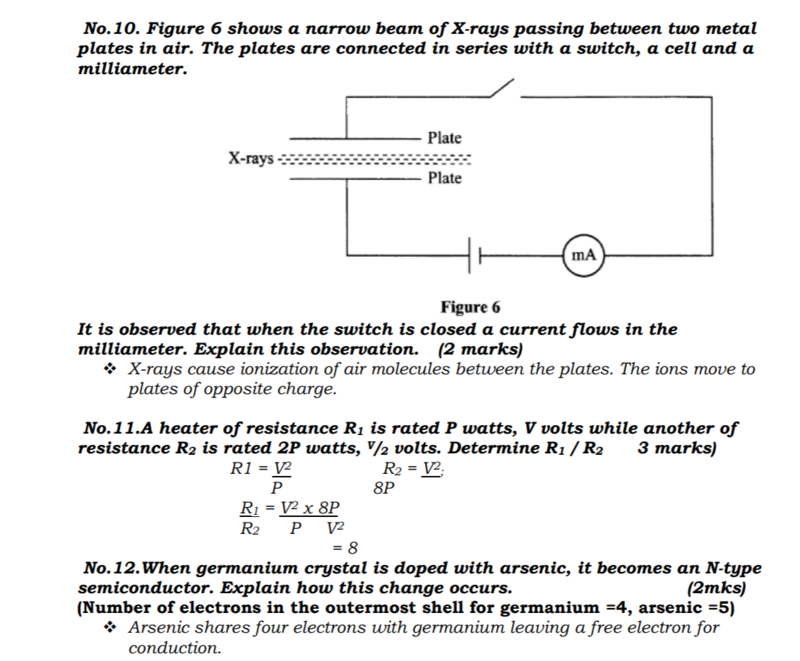 Use the information on the figure to answer Question 7. 8. The following is part of a radioactive series. 10. 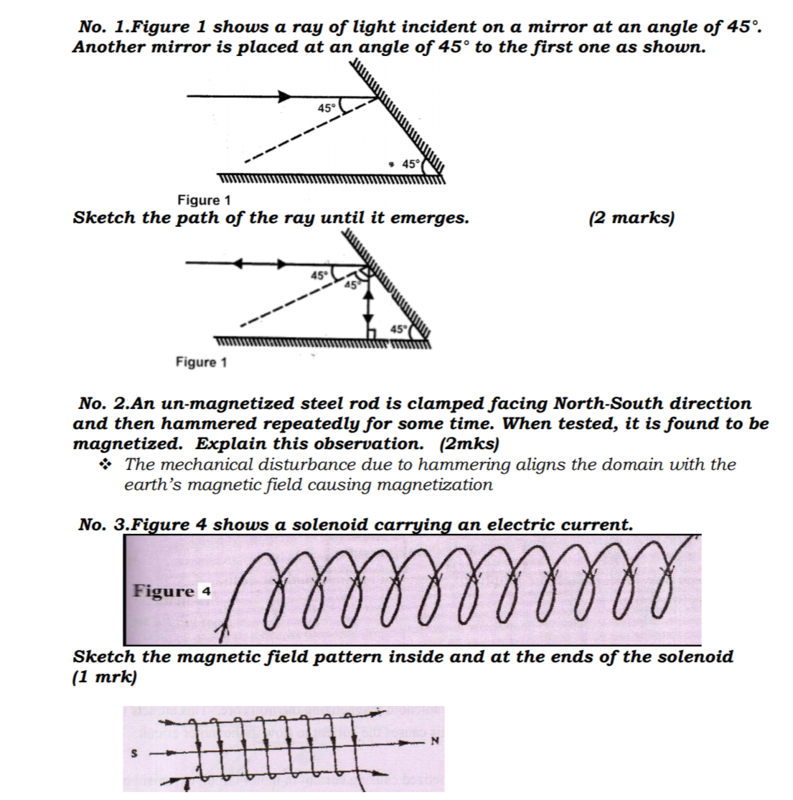 Figure 6 shows a narrow beam of X-rays passing between two metal plates in air. The plates are connected in series with a switch, a cell and a milliameter. 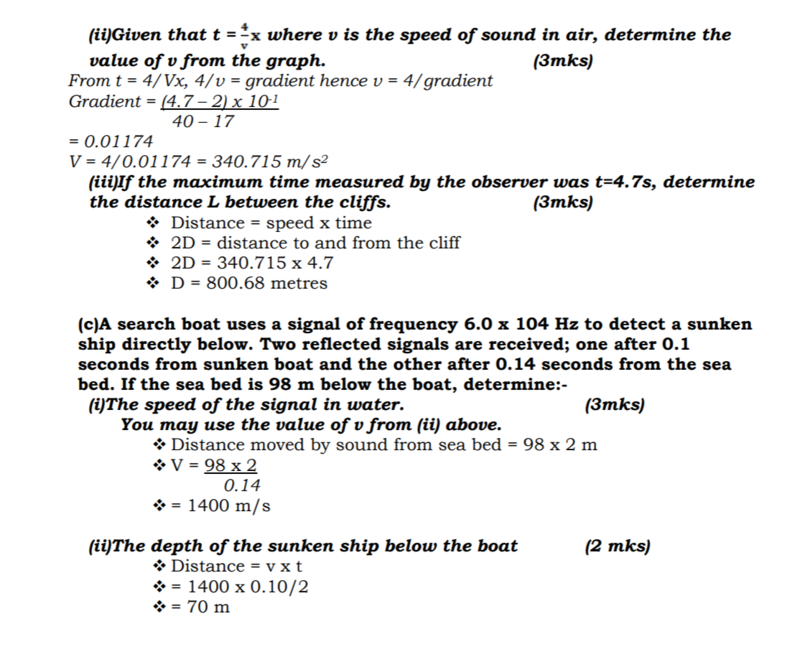 (55 marks) Answer all the questions in this section in the spaces provided. 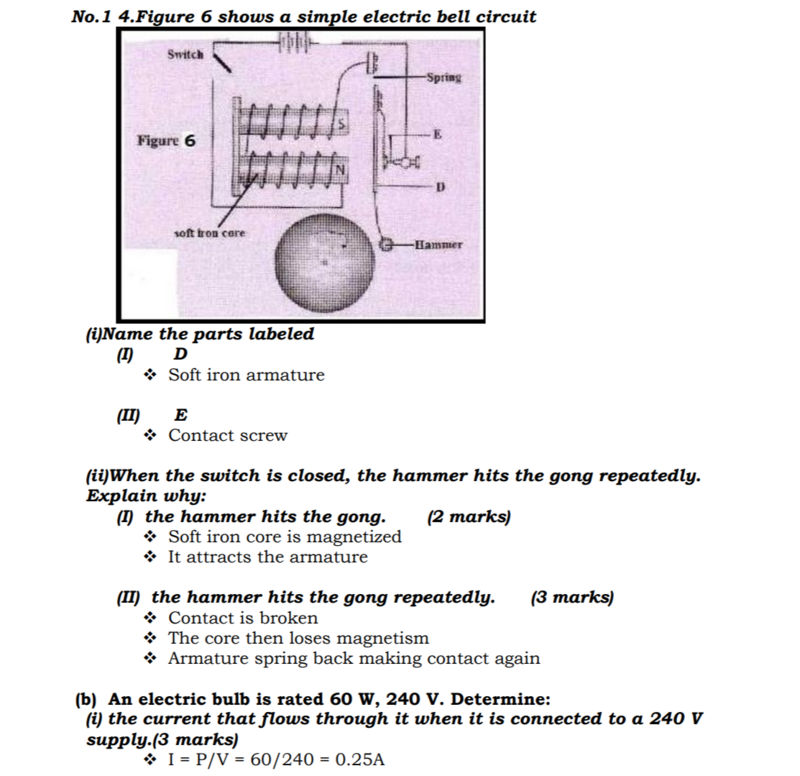 (ii) When the switch is closed, the hammer hits the gong repeatedly. 15. Figure 8 shows two coils A and B placed close to each other. 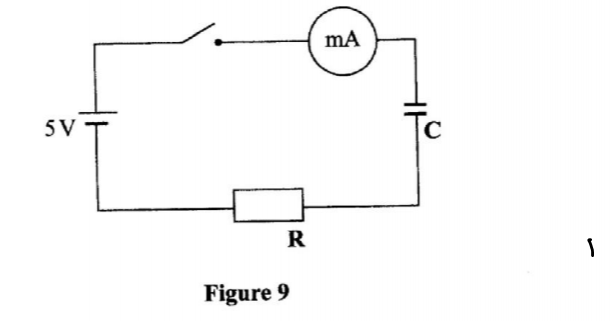 A is connected to a steady direct current (d.c.) supply and a switch, B is connected to a sensitive galvanometer. 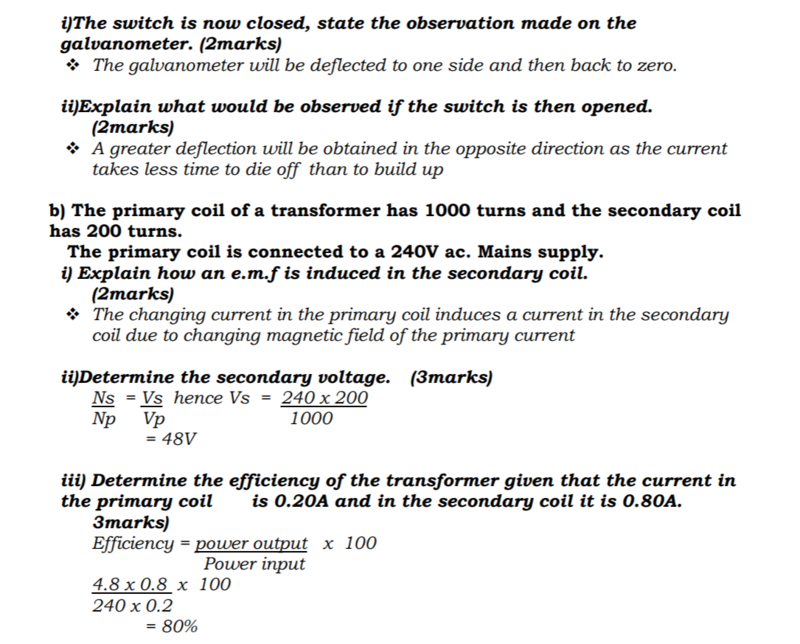 (b) The primary coil of a transformer has 1000 turns and the secondary coil has 200 turns. 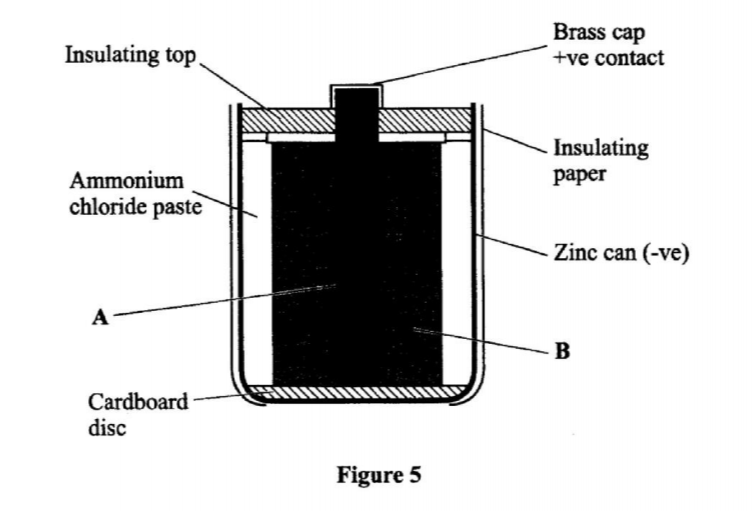 The primary coil is connected to a 240V alternating current (a.c.) mains supply. 16. 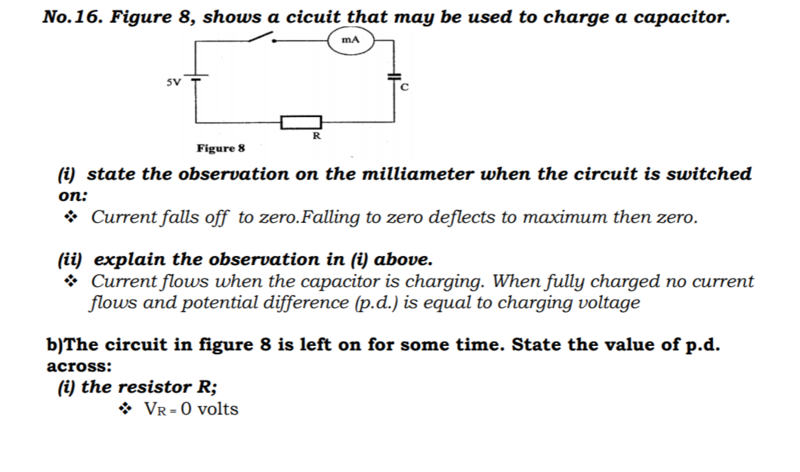 (a) Figure 9, shows a circuit that may be used to charge a capacitor. 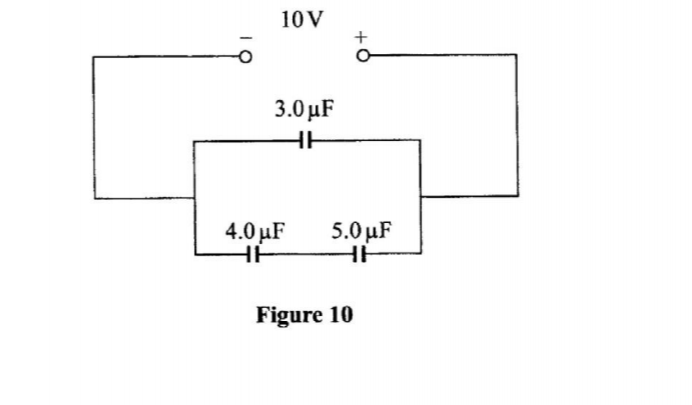 (d) Figure 10 shows three capacitors connected to a 10V battery. 17. 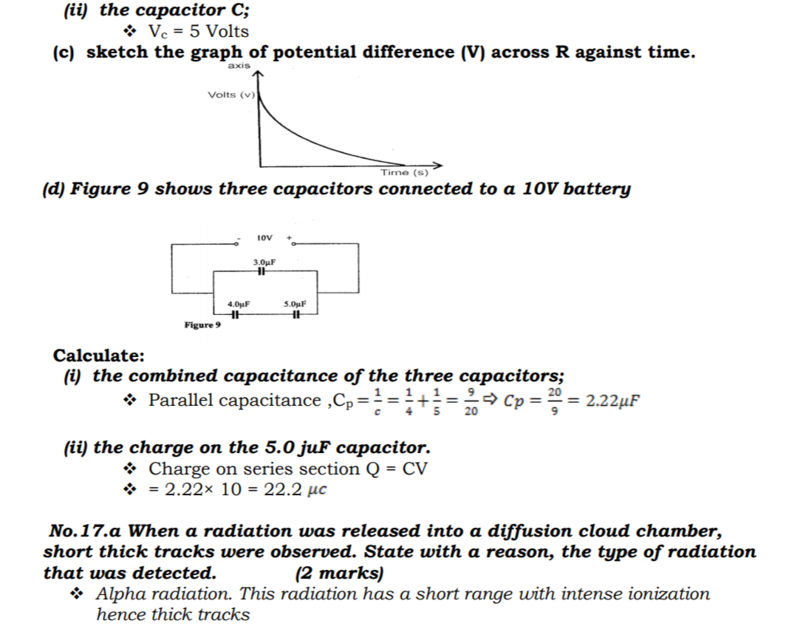 (a) When a radiation was released into a diffusion chamber, short thick tracks were observed. 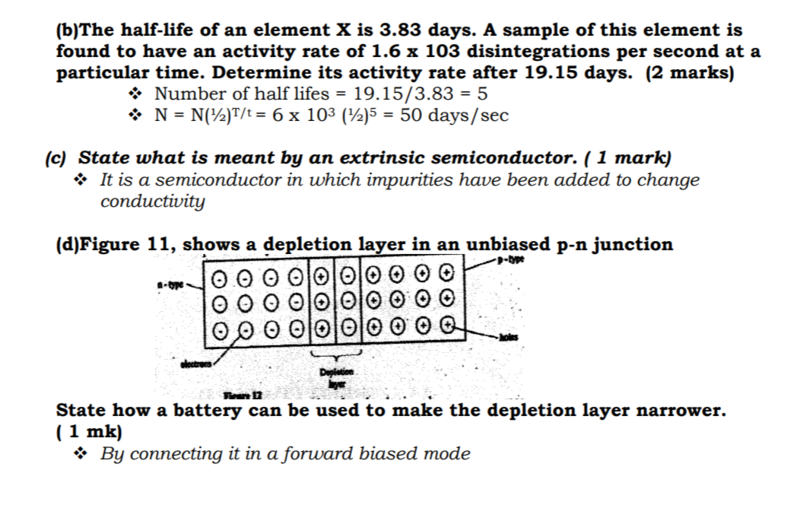 (e) Figure 12 shows an incomplete circuit of a full wave rectified. 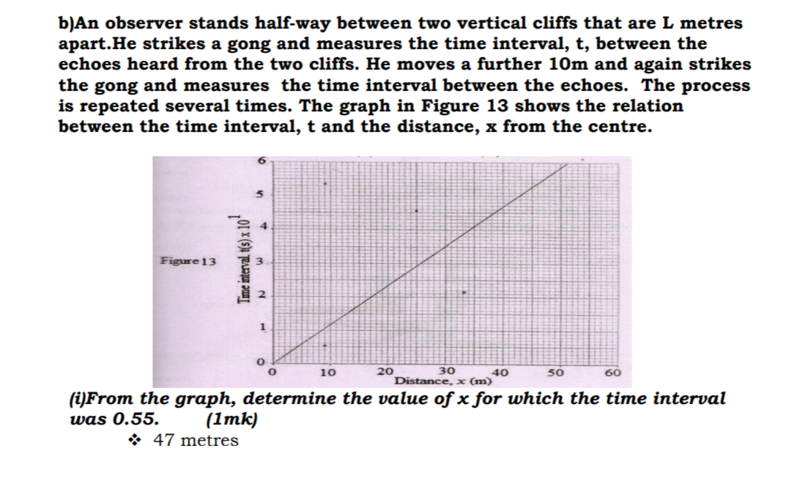 (b) An observer stands half-way between two vertical cliffs that are L metres apart. He strikes a gong and measures the time interval, t, between the echoes heard from the two cliffs. He moves a further 10m and again strikes the gong and measures the time interval between the echoes. The process is repeated several times. 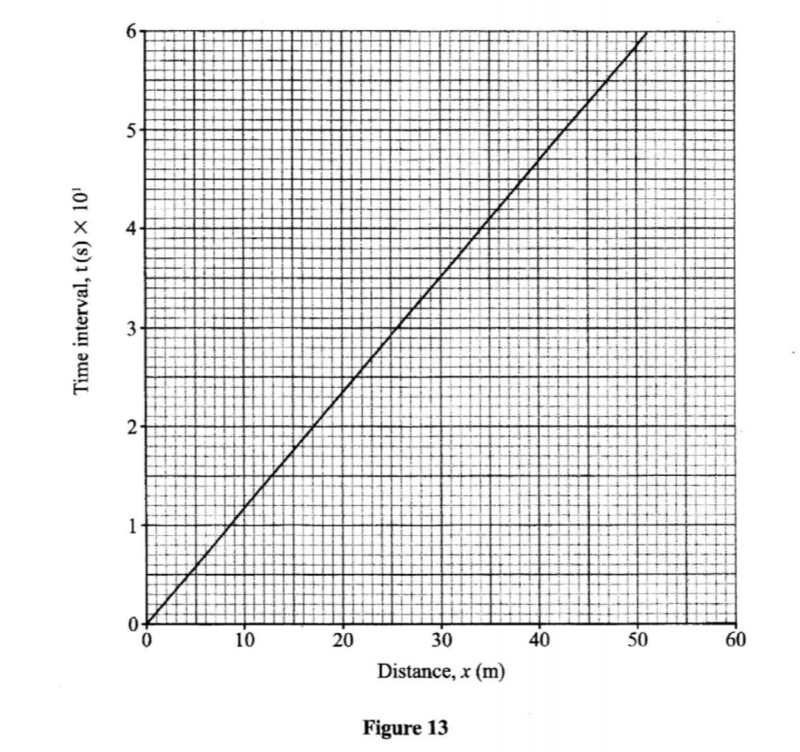 The graph in Figure 13 shows the relation between the time interval, t and the distance, x, from the centre. 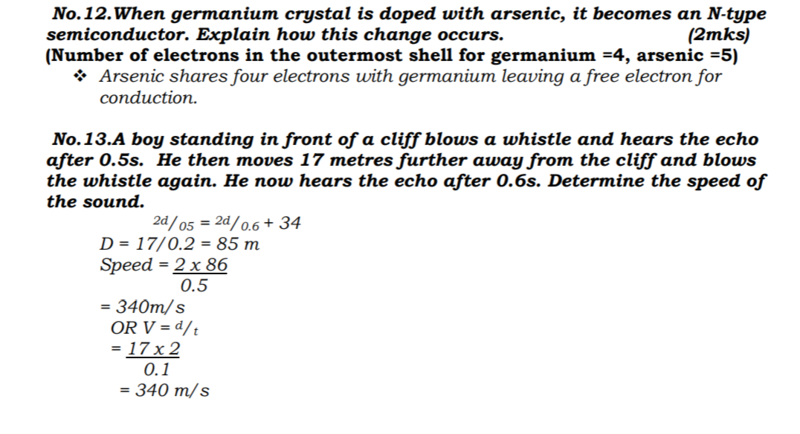 (You may use the value of v of (ii) on page 14).